As the world around us seems increasingly uncertain, building and maintaining trust is more important than ever. InTheBlack EMEA is designed to help you turn uncertainty and doubt into confidence and trust, delivering deeper insight and strategic value so you can become a trusted advisor to the business. You’ll also have the opportunity to discuss your greatest challenges with experts and other BlackLine customers, understand the latest industry trends and new technology, and increase your adaptability to the constant change. The conference is coming to London on 13-14 March, and you can reserve your spot here if you haven’t already. This year’s event will deliver specialised workshops, customer testimonies, and keynotes that explore how your organization can build trust. You can meet BlackLine Customer Success Managers, connect with BlackLine Experts at The Sandbox, and ask product managers and solutions consultants all of your questions about upcoming features and functions. Advanced training workshops are curated for experienced BlackLine users. Expert trainers will provide hands-on instruction and in-application experience as you dive deep into the products that can make your teams even more productive, efficient, and effective. Finally, BlackLine Bits are short, 30-minute sessions to deliver the tips and best practices you need to get the most out of your BlackLine solutions. Visionaries, industry leaders, and your peers will inspire you to improve the way you and your accounting and finance teams work. 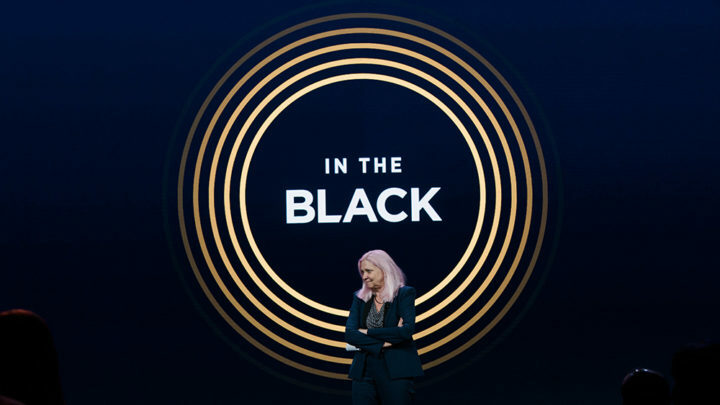 In her always-anticipated keynote, BlackLine founder and CEO Therese Tucker will talk about how accountants in every stage of their careers can liberate themselves from mundane tasks, and embrace their new role as partners in their business. British media personality, television presenter, and journalist Phil Spencer will be joined by “Everest in the Alps” teammates, including Capital One UK’s Chief Counsel Rupert MacInnes and BlackLine Account Director Mark Lindblom. They will share an inspirational story highlighting the power and importance of building trust within a team. Business Transformation leader Michael Ryan will talk about how to overcome the challenges of creating sustainable change, based on over 20 years of experience implementing change in a blue-chip environment. Now is the time to explore the technology and trends that allow accounting and finance teams to thrive in this new era of continual change. You can become the catalyst your organisation needs by leading with a new perspective and innovative mindset. Join Finance & Accounting thought leaders from across the EMEA region for two full days of best practices, networking, and product deep dives. If you haven’t already registered, you can reserve your spot here.